Notice! Hotel Titan Garden does not accept reservations at this time. Please try again later. Hotel Titan Garden Contact. Hotel Titan Garden is situated on the coast of Alanya district, only 200 metres from the sandy and pebble beach. Hotel Titan Garden has 286 family rooms, 246 standard rooms and 2 disabled rooms, 276 rooms and 650 bed capacity. The rooms are equipped with air conditioning, bathroom (with bathtub), hair dryer, standard furniture, minibar, satellite TV, safe and balcony. Facilities include an indoor pool, 2 outdoor pools and water slides. Featuring light interiors, the rooms are designed to create a peaceful atmosphere. They all include air conditioning and satellite TV. Some rooms also offer a private balcony. The restaurant has an open-air, roof-covered terrace section. Guests can also enjoy drinks and snacks from the 2 bars of Titan Garden Hotel. Alanya city centre is 13 km away. 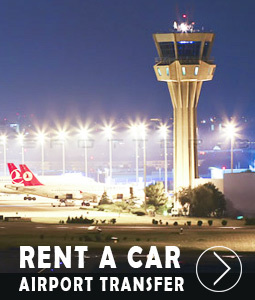 The hotel is 56 km from Gazipaşa Airport and 120 km from Antalya Airport. Hotel Titan Garden accepts VISA and reserves the right to temporarily hold an amount prior to arrival. Hotel Titan Garden accepts Master Card and reserves the right to temporarily hold an amount prior to arrival. Hotel Titan Garden accepts Maestro and reserves the right to temporarily hold an amount prior to arrival. Hotel Titan Garden accepts Bank card and reserves the right to temporarily hold an amount prior to arrival. Hotel Titan Garden accepts ATM card and reserves the right to temporarily hold an amount prior to arrival. Free buffet meals in the morning, lunch and dinner. Some local alcoholic and non-alcoholic beverages, free of charge, between 10.00-00.00. Freshly squeezed fruit juices and turkish coffee are paid. The ice cream cafe is chargeable. On the day of the entrance to the minibara, water and soda are placed once and other days are filled with charge. The facility has 327 rooms. Standard rooms are 18-24 m² wide. Suitable for 2 + 1 people. Family rooms are 32 m² wide. Suitable for 3 + 1 persons. Handicapped rooms are 24 m² wide. Suitable for 2 people. The property was built in 2003 and renovated in 2012. The facility consists of 6 cattles and 4 guest elevators. Free internet access is available in public areas. Minibars are free of water and soda on the day of check-in. Other days are paid upon request. The facility is entered into the pool with haşema. There is 1 meeting room. Equipment is provided free of charge. It was good. It can be recommended. But some workers were very unsymphatic! Great hotel. If you take all inclusive , you will amaze with the food. Surrounding hotel also good for walk. Close to the beach , bazars and nice small shopping mall with McD Suggestion if internet important, ask for close as possible with the lobby. Its good becase you can get free drinks at the bar!!! !